Over 300 color photos, heavy on the lemur & reptile populations. Color photos. 244 pgs. This is Marty Stouffer's account of a richly illustrated celebration of our North American wildlife by the host & principle cinematographer of the PBS series Wild America. 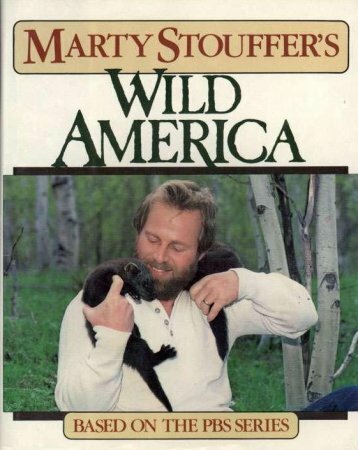 Whether being chased up a tress by a wild boar in Georgia or scuba diving with cutthroat trout in the frigid waters of Wyoming's Yellowstone Lake, Stouffer engagingly describes his adventures & invites us along as he reveals the secrets of his outdoor world. From bighorn sheep to Alaskan brown bears, from hummingbirds to pelican, Wild America focuses on the habits & habitats of creatures rare & endangered as well as common & familiar. 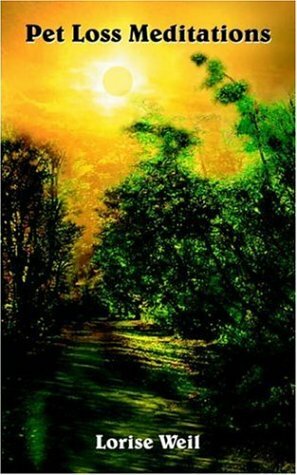 Illustarted with 16 pages of stunning color photographs & more than 100 B/W photos. 392 pgs. A family guide to the fascinating creatures of earth, sea & sky. The dramtic life stories of animals from the butterfly to the whale are told in these 115 articles drawn from the pages of The Reader's Digest. In a special supplement another 200 creatures are described & illustrated. 155 color photos. 320 pgs. This charming book deftly fills the information gap that thwarts most would-be environmentalists, offering an endlessly informative and accessible guide to nature--from mosses to maples, from chipmunks to chickadees. With clarity and an infectious sense of discovery, Blocksma offers a directory of nature that not only instructs, but inspires. Line drawings. 352 pgs. Presents many of the oddest, most unusual animals in the world in spectacular full-color photographs. 120 pgs. 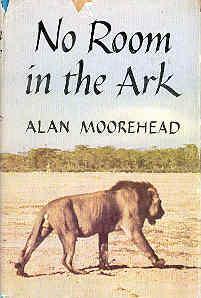 Written after 4 journeys in Africa, this book describes the country, its animals & its people, in a way that brings vividly to life its strange enchantment. Filled with photographs of Africa's wild animals and primitive tribes. 227 pgs. Learn how to: keep animals out of the garden, from destroying property, away from valuable shrubs and trees, avoid animals that stalk humans, protect pets and livestock from predators, identify problem animals, prevent and control wildlife damage. deer, beaver, rabbits, squirrels, woodchucks, muskrats, raccoons, coyotes, black bear, mountain lion, wild pigs, skunks, fish-eating birds and prairie dogs are amoung the 40 species discussed in this book. 192 pgs. 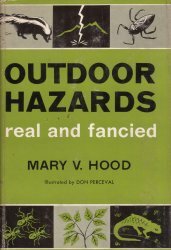 Helps distinguish between the genuine hazards of the outdoors & the imaginary ones which can be dispelled by an understanding of nature. Deals with animals (mammals, birds, four-footed reptiles, snakes, fish & other sea dwellers, insects & their relatives), poisonous & irritating plants (how to recognize & avoid them, & what to do if exposed), & hazards of camp & trail (sliding rocks on a mountainside, bathing in unfamiliar pools or streams, getting lost, sunstroke, heat exhaustion, frozen extremities, blistered heels, lighting stroke, & more). Illustrated. 242 pgs. 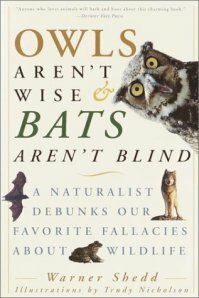 A naturalist debunks our favorite fallacies about wildlife and provides fun and factual information about more than 30 North American species. Superb illustrations. 322 pgs. It's always hard to say good-bye to one we love; when that loved one is a pet, strong feelings of responsibility and guilt can make the separation even more painful. From her many years of experience in pet-loss counseling, pet-assisted therapy, pet behavior counseling, and animal rescue, award-winning newpaper reporter and columist Laura Carlson offers creative, comforting methods for coping with the loss of animal companions, as well as imaginative ways to honor and memorialize them. 230 pgs. Consumer's Union, the independent product-testing organization, has addresses pesticide safety issues for most of its 60-year history. 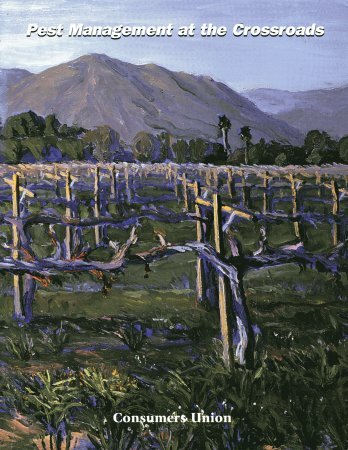 This book is the product of two years of original data analysis & policy research, & documents the benefits of biologically based Intergrated Pest Management (IPM). It provides a roadmap for reducing pesticide use & risks through adoption of biointensive IPM, & strategies to accelerate progress toward that goal. B/W photos, charts, graphs. 272 pgs. 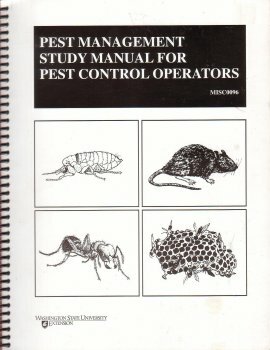 Issued by the Washington State University Extension & the US Dept of Agriculture, this manual is designed to help you become familiar with basic concepts of pest managment with special emphasis on strategies applicable to the trained pest control operator. This publication also discusses identification, biology, & behavior of pests & other life forms commonly encountered by this industry. B/W photos, line drawings. 150 pgs. First aid and medical treatment of injuries from Hawaii's animals. This handbook describes each animal in words and color photos, then identifies the mechanism of injury, incidence, prevention, and signs and symptoms of injury or infection. Includes: ant bites, bee stings, botfly infestation, cat bites & scratches, centipede stings, dog bites, flea bites, fly bites, kissing bug bites, lice, mite bites, mosquito bites, scorpion stings, spider bites, tick bites, toad secretions, wasp stings, worm infestation, and more. Also includes some animal caused diseases. 191 pgs. Gives you all the info you need to clean up pet messes, including what tools & products to use & where to find them - from cleaning methods to stain removers to deodorizers. 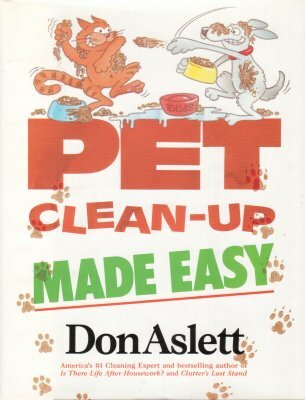 Inside this engaging, easy-to-read book, readers not only learn how to clean up any pet mess, any time, but also how to prevent such mishaps in the future. It was created in consultation with a number of veterinarians, behavioral specialists, and other animal experts, & helps readers transform their homes and environments in all the problem areas, including: fleas, the stinky litterbox, pet hair, stains on carpets and fabrics, & more. Complete with humorous illustrations. 134 pgs. This book was written with deep compassion. 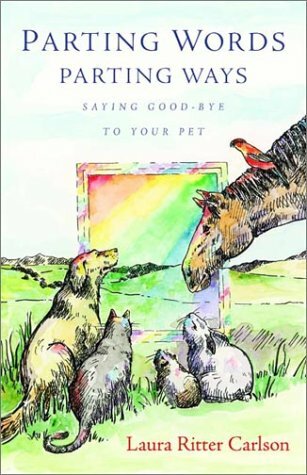 It is filled with sincere meditative thoughts and feelings surrounding the loss of a pet. Its inspiring messages allow us to reflect on those gifts we received through the special relationship we had with our pet. In addition to all that we should feel worthy about as our pets caregiver, the intent of this book is to help comfort you, as well as optimistically enable you to better cope with this very painful and traumatic loss. Although so much is lost with the death of our beloved companions, what remains can never be taken from us; all the love they have shown us, and the precious memories they have left us with, forever become a part of us. 156 pgs. Alphabetical listing for names for birds, cats, dogs, fish, amphibians, salamanders, newts, horses, insects, spiders, small animals & other wild animal pets. Names based on English & Foreign words. 387 pgs. Please, Can We Keep the Donkey? Features dozens of personal accounts of successful animal adoptions and rescues. 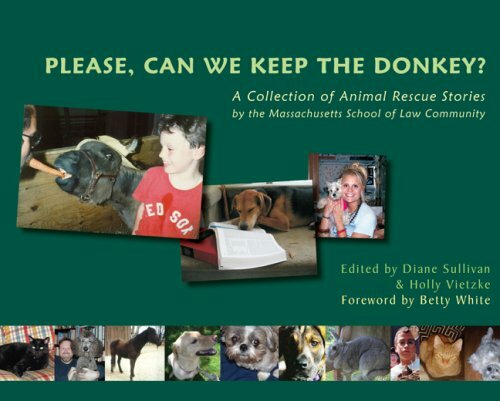 These entertaining stories describe rewarding relationships with animals ranging from dogs and cats to birds, a snake, and, of course, a donkey. Meet a rabbit who is an architect, dogs too ugly to pet, an orphaned cat who bonds with an orphaned girl, an unruly dog who brings aid to senior citizens, and many other animals whose lives have changed the people who took them in. These delightful and heartwarming stories of individuals who find each other and bring joy to one another's lives pose the question that one contributor asks: "Who rescued whom?". 174 pgs. Thousands of questions answered re: animals, statistics, charts, tables, etc. Here is the fascinating story of the animals of Hawaii, through the eyes of the Hawaiian Humane Society and the community it serves. This book commemorates the Hawaiian Humane Society's first 100 years of service to Hawaii's animals & people. B/W photos. 136 pgs. Art photographer Danielle Weil presents 50 exquisite black-and-white portraits of farm animals. Her carefully composed photos enable the reader to look at these animals--cows, sheep, pigs, chickens, ducks, goats, horses, and donkeys--with the patience seldom allowed in real life, making it possible to discover the individuality and uniqueness of each one. 60 pages. 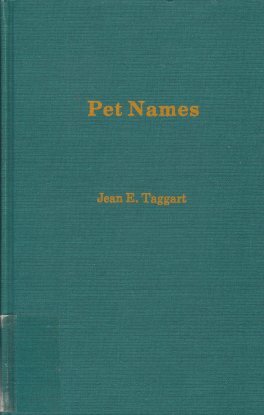 Written for both the newcomer to the business of retailing pets & pet products and the experienced pet shop owner or manager, this book presents in a clear manner the basic theories of pet and pet product merchandising and is supported with how-to drawings and photographs needed to put these theories to profitable use. Takes you on a step-by-step journey starting from your first idea for a retail pet outlet to the grand opening of a full-line pet shop. 176 pgs. Traces old & new world exchanges of plants & animals over last 500 years. 277 pgs. A delightful little tome of true stories told from the sensitive viewpoint of musician Laurie Conrad. These stories -both delicate and astonishing- describe a metamorphosis of awareness that embraces, at times, no less than divine healings and miracles. Lovers of animals and plants have often suspected what this book at last confirms in print: that animals and plants, trees, birds, bees and even bugs are all spiritual beings. The anecdotes of how she came to observe that animals and plants have spiritual consciousness convey the simple charms of a down-to-earth mystic whose wonderment reveals unexpected miracles. The book was designed and illustrated by Diana Souza, whose whimsical, elegant style graces the book with the enchanted air of a modern fairytale come-true. 100 pgs. 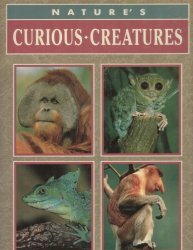 This book describes some of the most amazing and peculiar animals and their curious habits. It sheds light on the mysteries, the myths and the symbolism of selected animals. The reader will be completely awe-struck that the wealth of information within these pages is fact not fiction. 221 pgs. Here is the best about the oddest animals on the globe taken from the American Museum of Natural History magazine. You'll read about diving spiders, the travels of eels, the giant Peruvian fly, the jacksnipe's wing-song, fish that wlk, fish that climb trees, and many many other creatures. B/W photos. 255 pgs. 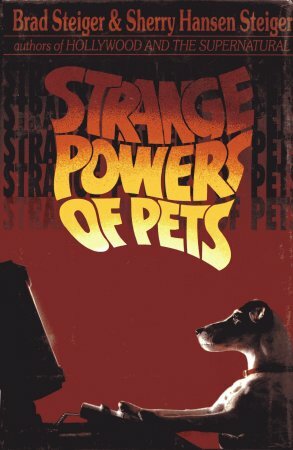 In this extraordinary book, the authors examine the incredible but true phenomena of amazing animal behavior--pets who have navigated awesome distances to find their loved ones, who have averted car crashes, who can play the piano, converse intelligently--and more. 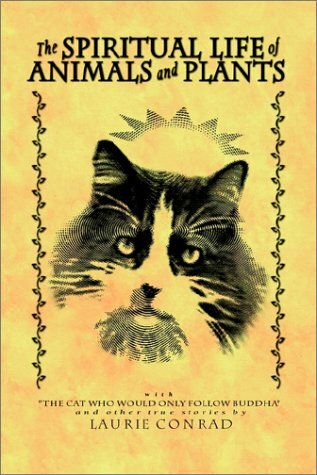 Readers will also learn how to strengthen bonds of extrasensory perception between themselves and their pets. 239 pgs.